I got a text from Aaron asking if I wanted to go to The Melting Pot in Buffalo. I excitedly agreed until I realized there must be a catch. He needed me to help bring a loaner car back to Rochester. 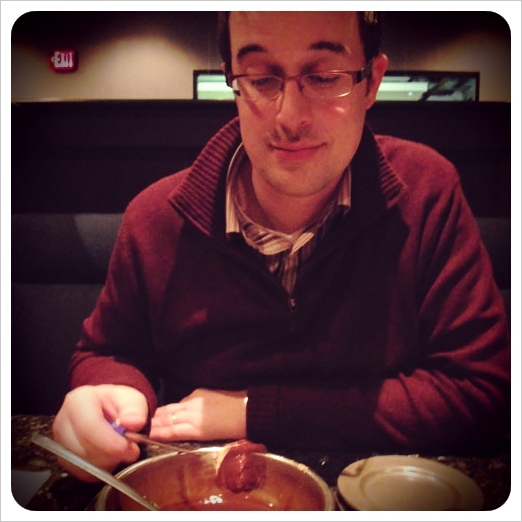 It was totally worth it for Melting Pot though. 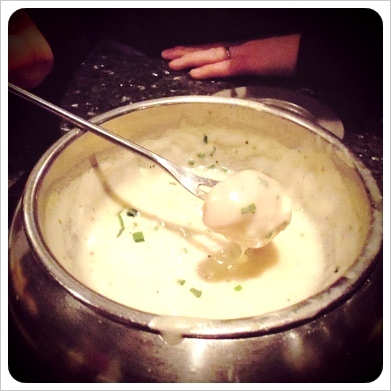 Right now they have a French inspired Big Night Out menu which includes Fondue à la France - a cheese fondue with baby Brie, Fontina, Gruyère and Raclette cheeses along with bacon, onions, white truffle cream and chives. BACON! 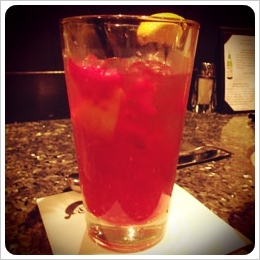 At first I was disapointed that they didn't have their strawberry basil lemonade anymore but now they have a raspberry sage lemonade - even better! Amazingly, the same night I was lured to Buffalo with the promise of cheese, it was announced on the news that The Melting Pot is finally coming to Rochester! Yay! More on the real reason we were in Buffalo. Aaron's Smart car still isn't fixed - not thrilled with our insurance company & their body shop of choice right now (ever hear of totaling a car for less than $2K worth of damage?). Smart Car jumped in and said to get it to their garage to get fixed right and even gave us the use of a loaner car since we have had the rental for so long. I don't think I can say enough good things about how amazing the customer service is at Smart Car. 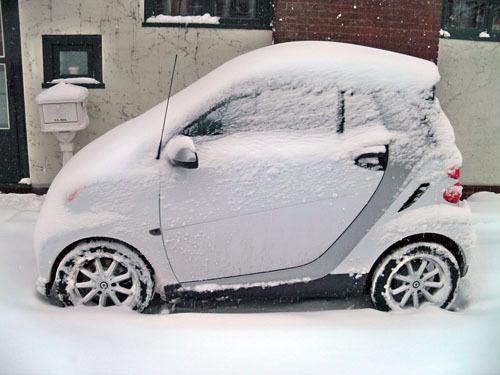 The loaner Smart Car is white and thanks to today's snow storm, looks like a snowball sitting in our driveway. i am concerned and surprised that melting pot is going to marketplace. the last time we were were there we were like "not ever coming back...again." Ohmigosh I love the Melting Pot! I haven't been there since we lived in FL! SO EXCITED!! !